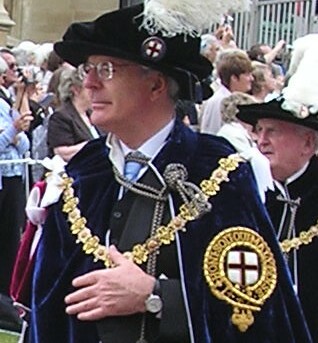 Sir John Major (born 29 March 1943) KG CH is a British politician who was Prime Minister of the United Kingdom and leader of the Conservative Party from November 1990 to May 1997. He was also a member of the Cabinet of Margaret Thatcher as Chief Secretary to the Treasury (1987-1989), Foreign Secretary (1989) and Chancellor of the Exchequer (1989-1990). Major was born in Carshalton, England and left school at the age of 16. He became a Conservative Party councillor in 1968. At the 1979 General Election, Major became a Member of Parliament for Huntingdonshire (Huntingdon from 1983 onwards). After holding several cabinet posts, Major was elected to succeed Margaret Thatcher as Prime Minister and Conservative leader. 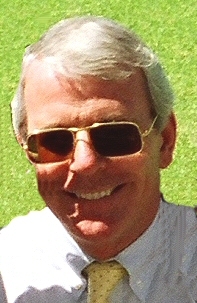 As Prime Minister, John Major oversaw British involvement in the Gulf War (1991-92) and his party's narrow re-election in the 1992 General Election. 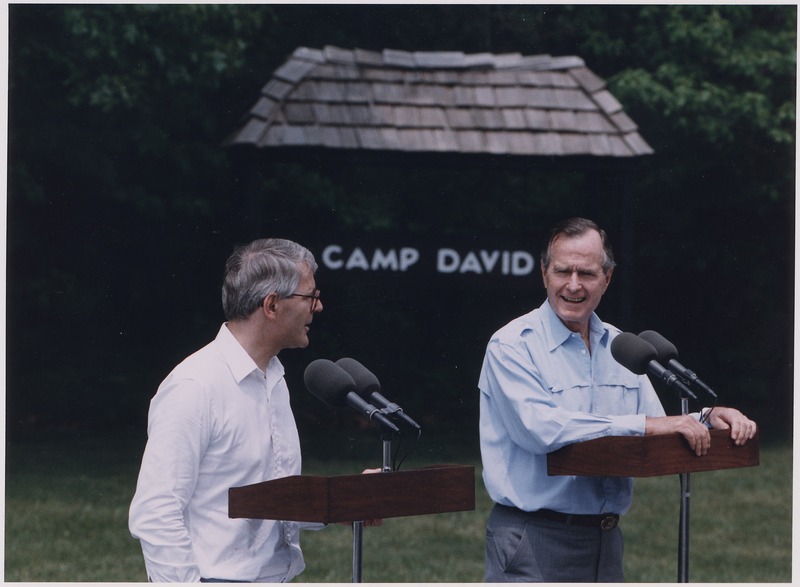 After this, the Conservative Party became less popular because of the Black Wednesday fiasco in November 1992 and because the Conservative Party became divided over the issue of the European Union. The Conservative Party was defeated at the 1997 General Election and Major was succeeded by the Labour Party's Tony Blair. Major was succeeded as Conservative leader by William Hague and he stood down as an MP at the 2001 General Election. Major has so far declined a life peerage on standing down from Parliament. Major married Norma Johnson (now Dame Norma Major, DBE) on 3 October 1970. She was a teacher, and a member of the Young Conservatives. They became engaged after only ten days. They had two children; a son, James, and a daughter, Elizabeth. They have a holiday home on the coast of north Norfolk, near Weybourne. He is a keen follower of cricket, motor racing, and also a supporter of Chelsea Football Club. John Major Facts for Kids. Kiddle Encyclopedia.